There is a particular segment of car owners that spend more time washing and waxing their pride and joy than actually driving it. I say to each his or her own, and I certainly get it. While there is something special about a well-worn, patina’d daily driver that’s given you tens if not hundreds of wonderful drives and great memories, the garage queen still beckons. 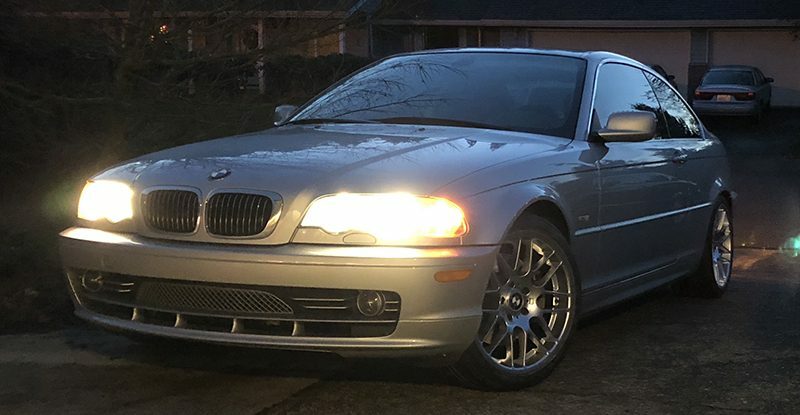 Recently inheriting a perfect (and I mean perfect) 2001 e46 330Ci coupe with only 28,000 original, one owner miles, I’m brought back to the fold. This car is so clean, it feels like new old stock. I don’t know how, but it still smells new inside, and the previous owner fussed so much over it, it feels like a shame to put it out on an autocross track, or install a supercharger. Driving it home from San Francisco to the Portland area, it ran flawlessly. Thanks to some gorgeous weather last fall, the first memory of the car proved to be an excellent one. 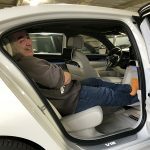 A quick trip to Portland BMW upon return confirmed what the original owner had told me – the car needed nothing more than a serpentine belt and an oil change. 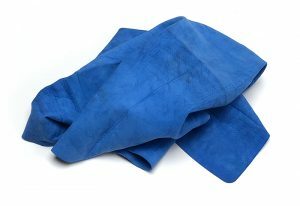 When was the last time you took a 17-year-old vehicle to the dealer for a PPI and didn’t get handed a major laundry list of repairs needed? The only delicate mods done were cosmetics. The stock 17″ wheels came off, and a set of 18″ VMR 703 wheels with Continental tires were fitted, along with the tiny trunk spoiler, giving it more of an e46 M3 look. 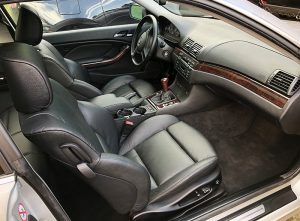 The car barely needed detailing, but a fresh coat of Glare Polish was applied and a new set of floormats, just because, were installed as well. That’s it. I’m fortunate to have an M235 to pound around when I want to get the adrenaline flowing, but this car is so much fun to drive at about a 60-70% pace, it’s easy to forget about the extra 130 horses in the modern car. The precision of the non-turbo six and the 5-speed gearbox is hard to ignore, at the same time providing a completely different experience than the F22, though they are almost the same size and weight. While I may only drive the 330 on a sunny day, out in the Washington back roads, it’s a very personal journey and an extraordinary one. The car feels brand new every time I get in, and I love it. I’ll do everything I can to keep this one in near perfect shape as long as I can. 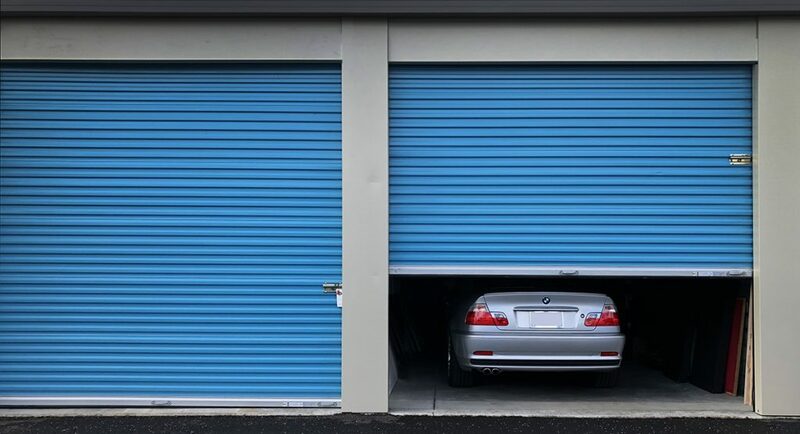 And we’ve recently adopted a new M240 X-Drive (also in silver) which might succumb to the same fate. For those of you choosing to drive it everywhere, every day, I respect that decision equally. If you truly enjoy driving your BMW, there’s nothing like having that experience on a daily. I’m grateful to be able to have both versions. To that driver, I offer the counterpoint – Daily Driver. Hello and welcome to My BMW Habit. My journey with BMW goes back to about 1982, when I drove my first one – a white 320is. 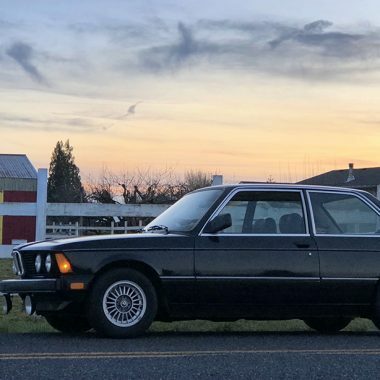 It would be years before I got my first BMW, ironically a beige 1983 320 that was in horrible condition. Life after DCT…or how I learned to Love the Paddle.